Metal Cross is one of the leading dent and scratch repair centres in Johannesburg. With years of experience, the company has built its reputation on ethical business practice and taking care of their staff. Frank Menezes has worked hard to establish trust and ensure that his clients always get the service they deserve. Whether it be hail damage, bumper replacement or even extensive panel beating, clients can rest assured that they will get quality workmanship and professional service. Metal Cross feels very strongly about conducting business with integrity. With International Anti-corruption Day on the 9 December, it’s important that local businesses lead the way and stand up for what’s right. 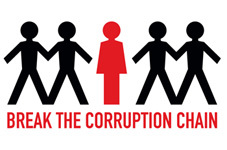 South Africa has joined the international community in commemorating 9 December as International Anti-Corruption Day. It is regarded as a valuable opportunity to highlight the problems caused by corruption and encourage people and businesses to take action. 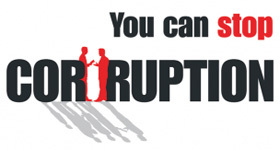 International Anti-Corruption Day reflects on the serious nature of corruption by raising awareness. Many times people are aware of corruption or unethical business practices but feel that their actions will have no impact or that there are no official channels to report suspicious activity too. South Africa has often been in the spot light with high profile corruption scandals like Nkandla casting the country in a very bad light. If South Africa is to prosper, it is up to companies like Metal Cross to stand by their values and encourage others to join them in the fight against corruption. The panel beater industry has often come under fire from fly-by-night operations taking advantage of consumers. These practises undermine the work done by approved panel beaters. As an approved panel beater, Metal Cross only uses the genuine parts and they guarantee fast turnaround and workmanship. With years of experience working on the all makes of vehicles, customers can rest assured that they are getting the best value for money. Metal Cross is well-known for their ethical business practice based on honesty and integrity.